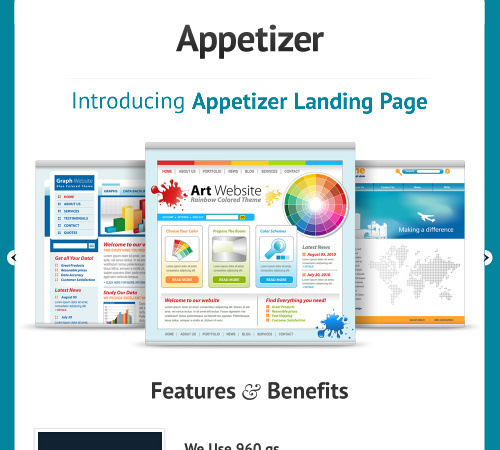 A landing page templates or landing page is a single web page used that appears after clicking on an advertisement or an article at a certain site for conversion. 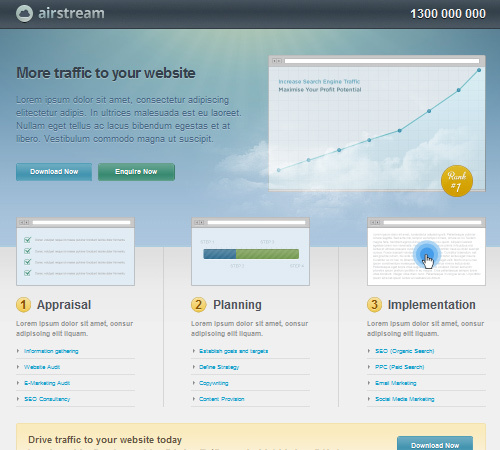 It usually display directed sales copy that is a logical extension of the advertisement or link. 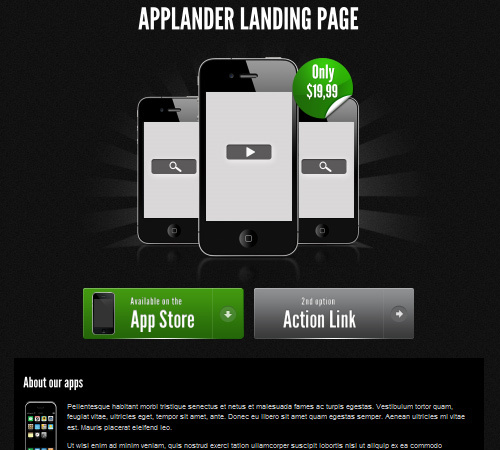 Landing pages are commonly used in online marketing to enhance the effectiveness of advertisements and at the same time increase the sales of the product that it is being promoted. Nowadays, business of all sorts turn to Landing Page in promoting their products and in ensuring that it sells to its target consumers. 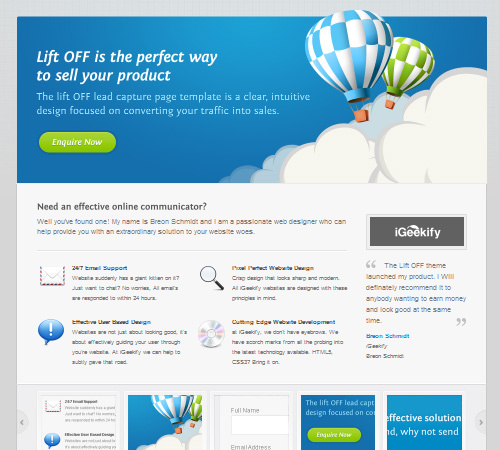 This 50 Effective Landing Page Templates for your Products compiles several unique and cool templates that you can use and avail. Browse through this collection and read through some of the features that are stated for a glimpse of what they can offer to you and to your product. You may also click the image to visit the main source to help you decide if you can use them. Enjoy!!! • 3 variations, 3 color styles . 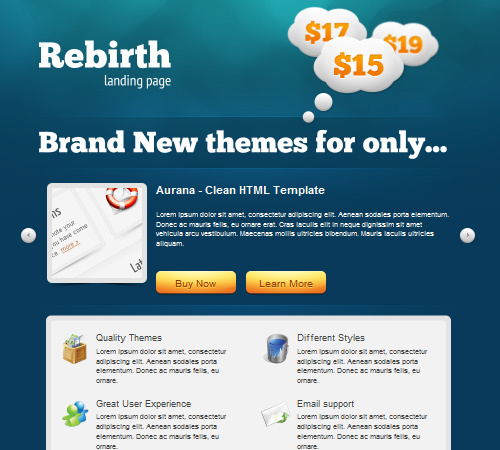 • 3 premade themes included. • Dark variation for all layouts. • Tutorial step by step how to integrate MailChimp to your subscribe forms. • Option to change the background of the main elements. • Multicolor easy-to-use jQuery plugin for displaying your data as bar graphs. 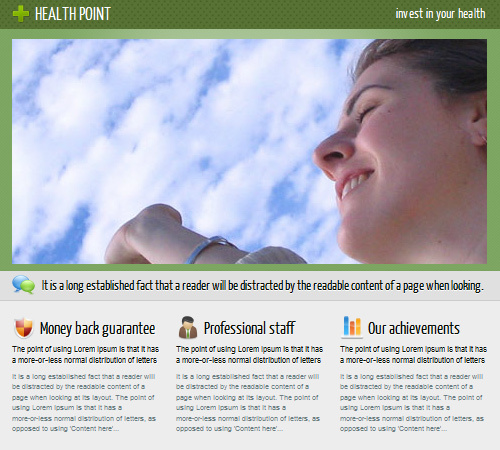 • Two variants of the top of the page – Slider / Static images. • Valid xHTML & CSS 2 .1/3. 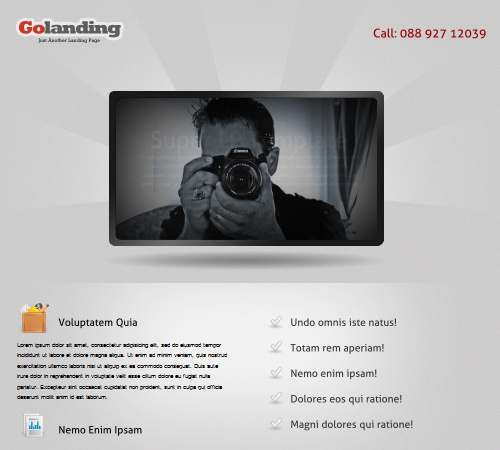 • jQuery Effects: Autofilling form field, Lightbox with fancybox, Twitter widget. 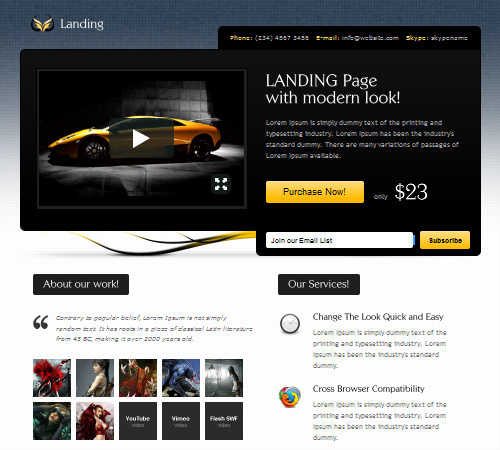 • Semantic, Valid XHTML and CSS. • Facebook recommend and comment. 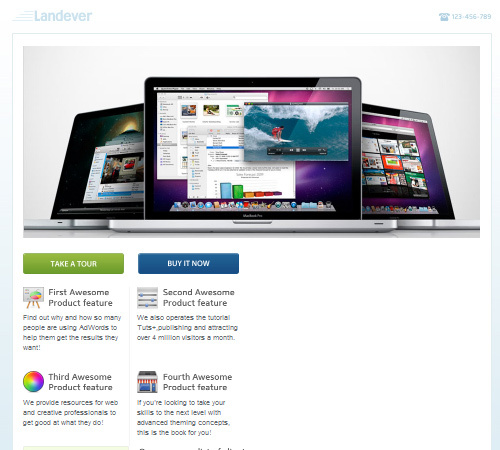 • Five well layered and sliced PSD files..
• Contains custom jQuery tooltips. 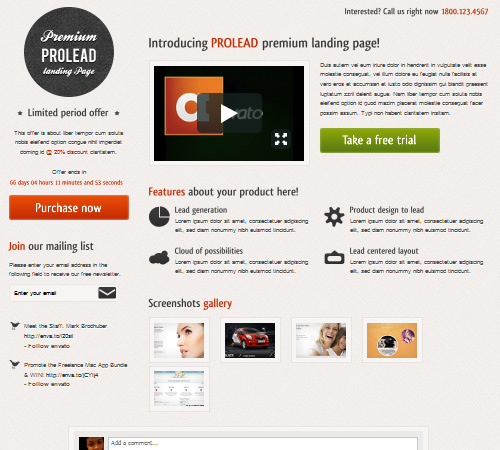 • Dropdown contact modal box with a PHP script to handle emailing. 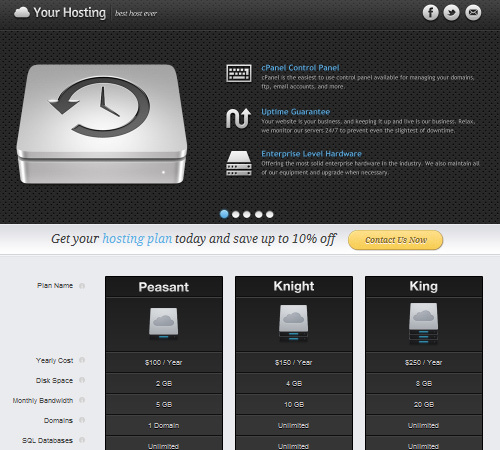 • Pricing table and services list. 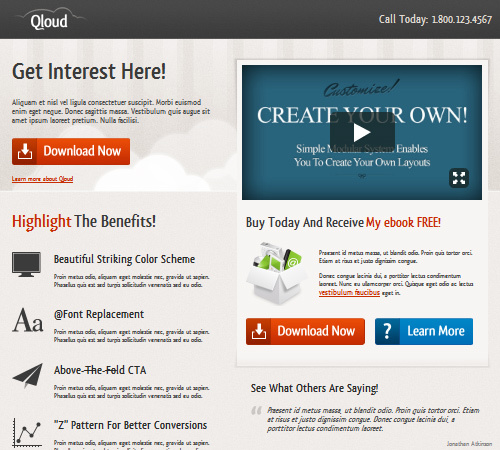 • MailChimp ready email subscription form. • Working PHP Contact Form with validation. • Fancybox enabled for videos and images. • 1 full PSD layout. 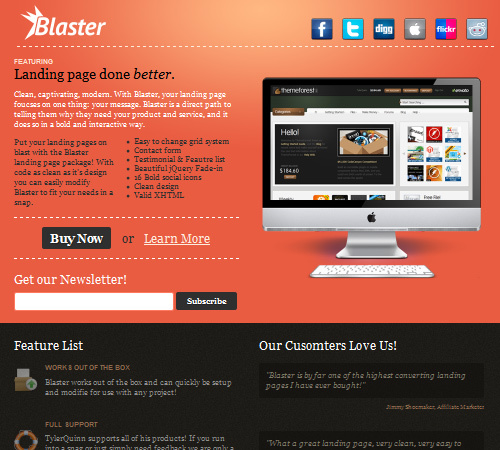 • Content Slider for featured area. • 4 color styles (blue, green, brown and grey). • Image carousel and lightbox. 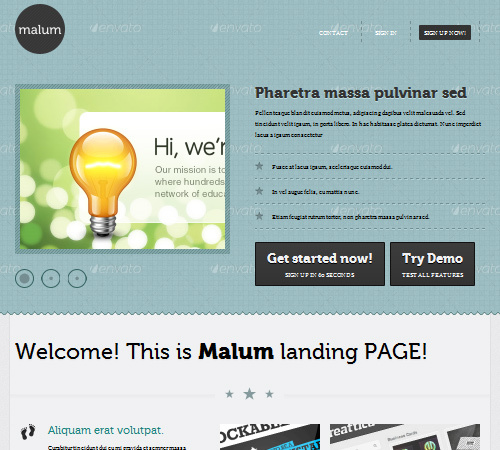 • Valid xHTML – CSS. 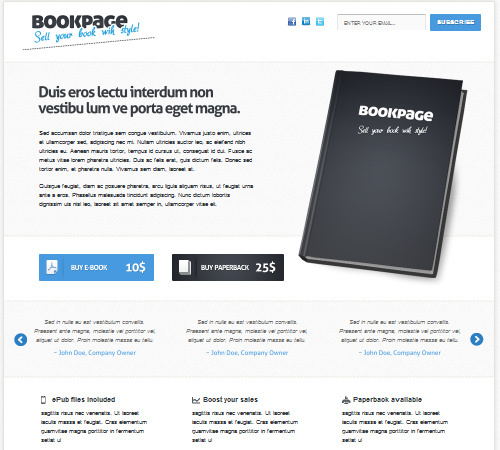 • Solid HTML , CSS & jQuery code. • 5 Colors Customizations Included. 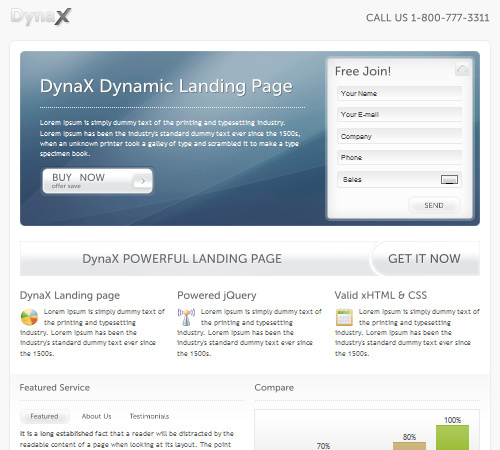 • 2 Working Live AJAX forms with Validation. 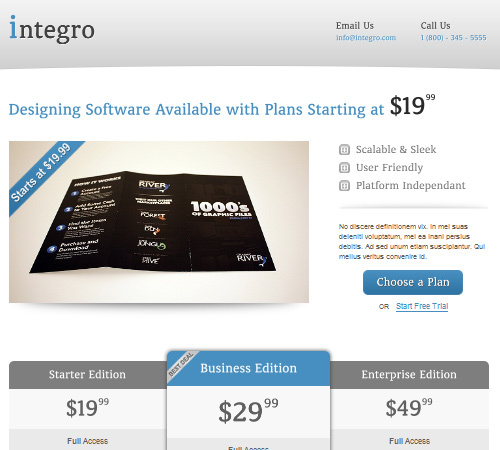 • 3 Column Pricing Table. 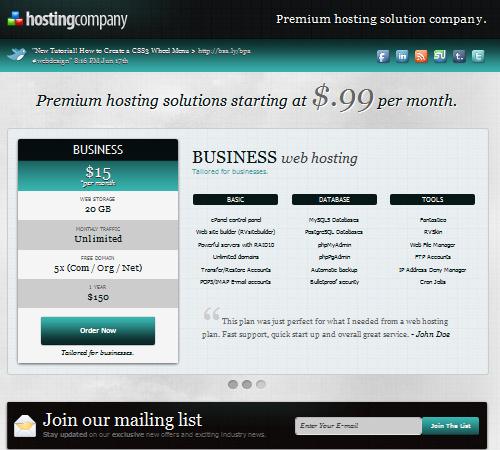 • Working PHP /Ajax Contact form. • well organized PSD file. 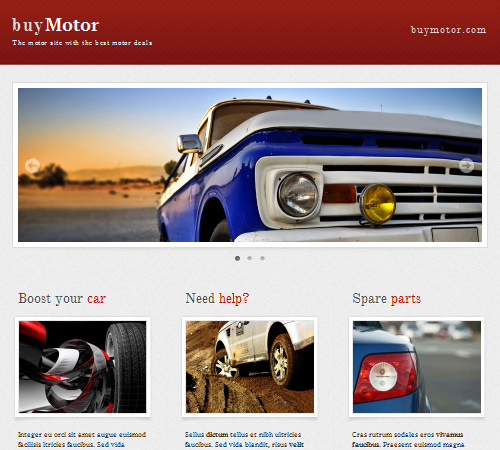 • ThemeForest Files: Layered PSD, JPG Image, HTML Files, CSS Files, JS Files. • Compatible Browsers: IE7, IE8, FireFox 3, Firefox 3.5, Firefox 3.6, Safari 4, Safari 5, Opera, Chrome 4, Chrome 5. • Background Layered PSD . 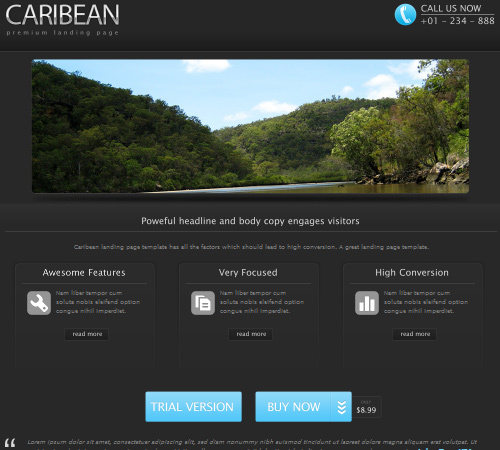 • Rotative Testimonials (add many as you want). • Template has been tested with major browsers. • The displaying of the template is identical in all browsers. • There is no inline style for better performance. • 5 different standard colors (easily changeable). 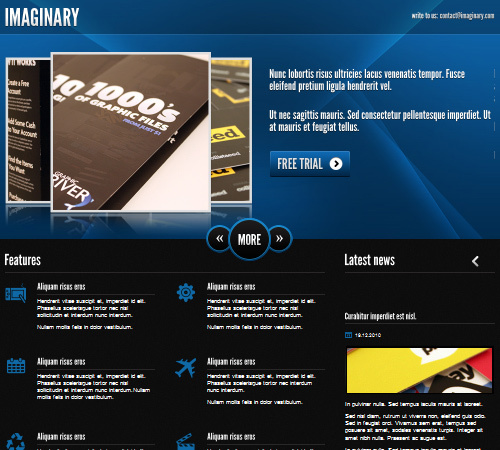 • Cross browser compatible (IE7, IE8 , Firefox, Safari, Chrome and Opera). • Complete PHP contact form with validation. • Compatible Browsers: IE8, FireFox 3, Firefox 3.5, Firefox 3.6, Firefox 4, Safari 5, Opera, Chrome 4, Chrome 5. 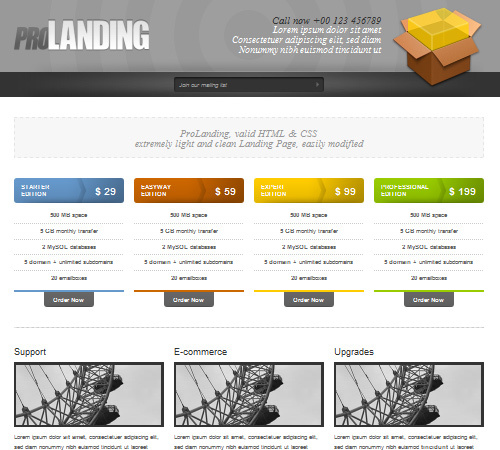 • ThemeForest Files: Layered PNG, Layered PSD, JPG Image, HTML Files, CSS Files, JS Files, PHP Files. 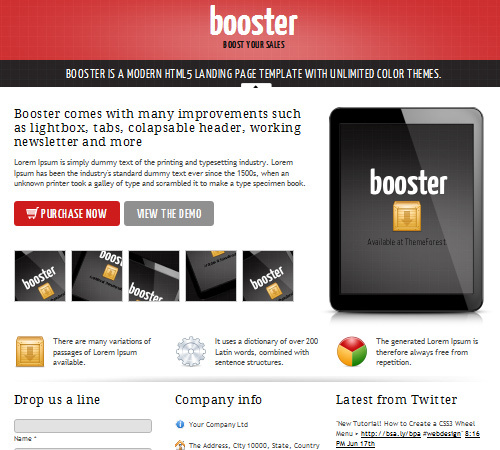 • 4 unique and elegant themes, each with 2 layout options and the option of having an intro or not. 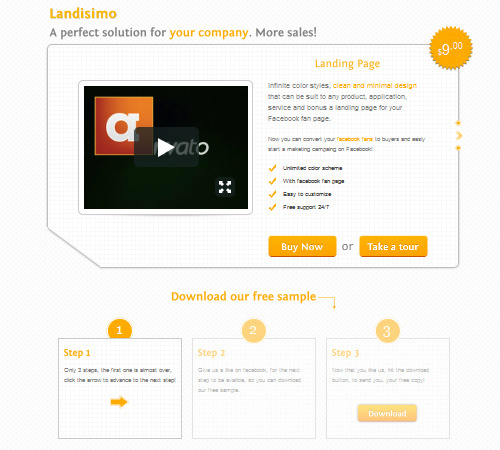 • A slick intro animation, which fades out to reveal the landing page after completing. 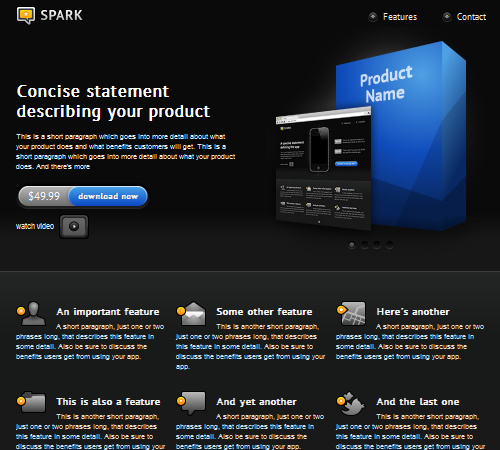 • Areas for a product description as well as selling points. • Tested and fully functional in all major browsers , even IE6 users have a good experience. 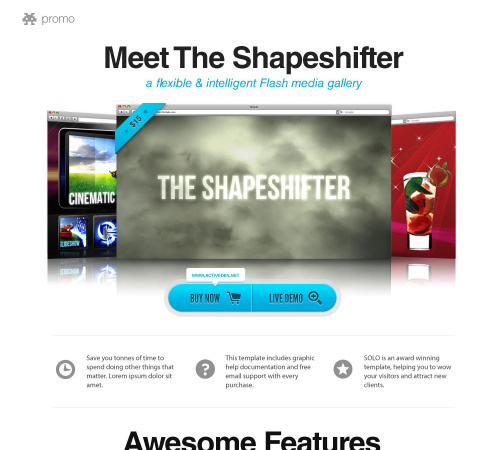 • Pop up vimeo video. 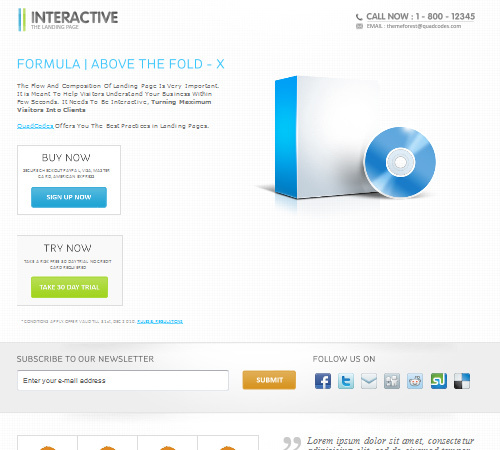 • Pop up fancybox image. 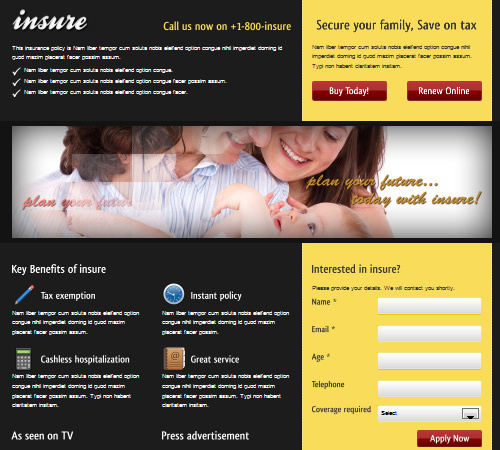 • Pop up & Working ajax contact form – cufon style. • Fully Based On Own Easy Grid System. 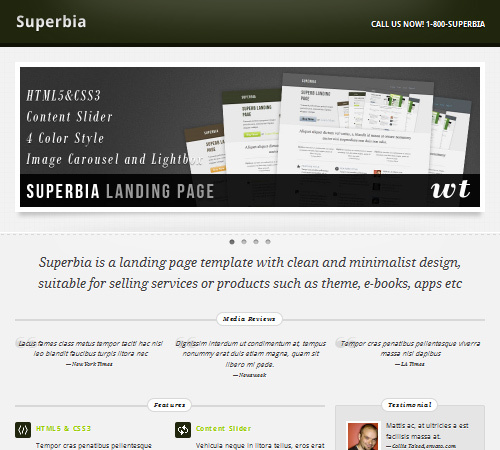 • XHTML Strict 1.0 and CSS 3 , table-less layouts, 960 Grid System. 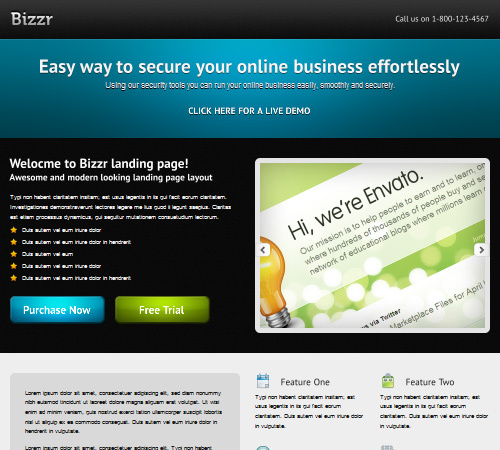 • Code optimized for getting the top results in the Search Engines. • Sliced PSD files are included. 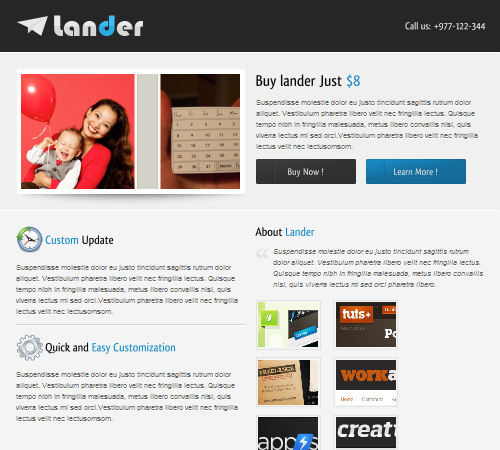 • 2 layouts – pricing tables and slider. • 3 color schemes – red, green, blue. 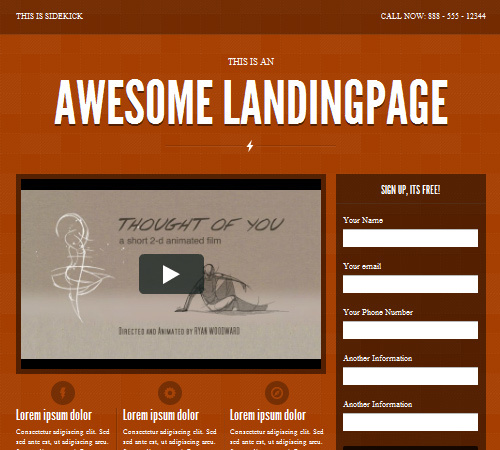 • working AJAX newsletter subscription form. 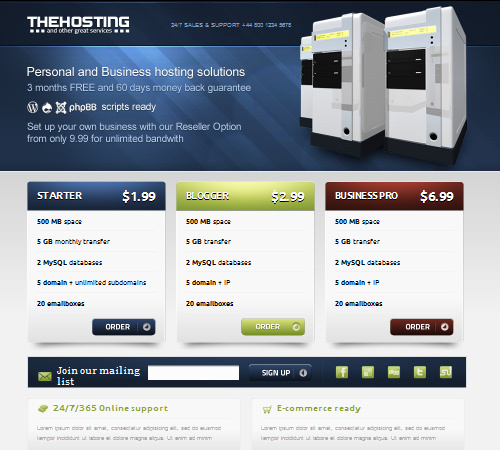 • Valid XHTML Strict and CSS3 . • 8 organized PSD files. • Easy to modify / edit grid system. 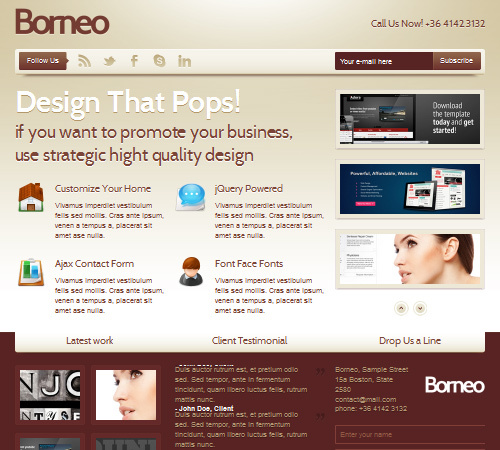 • 3 Page styles / templates. 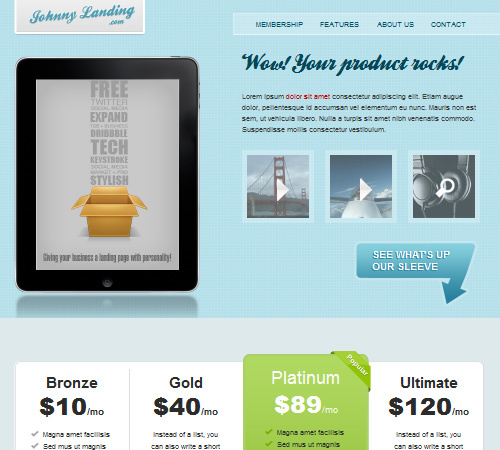 • Beautiful jQuery fade in Testimonial and Features list. 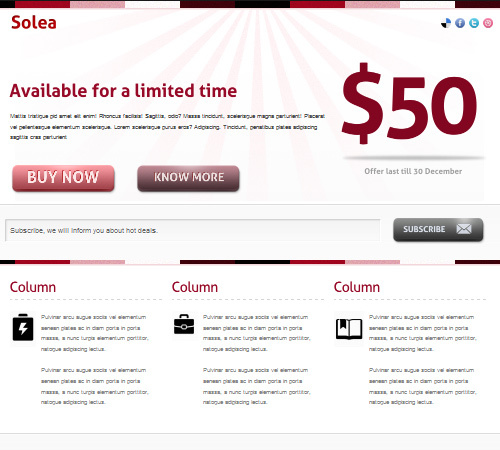 • HTML5 Subscription sign up form. • W3C HTML & CSS Valid. • Comes in 2 color schemes. • Fully functional newsletter subscribe/unsubscribe form. 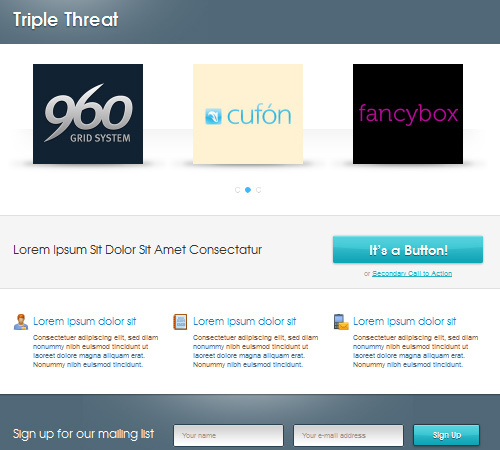 • Tailor the resulting email in the php file to suit your email list software’s requirements. • Validation provided by jQuery. • 19 organised and editable psd files included to help you customise any item. • prettyPhoto Gallery (video or images). • Index files with Vimeo, YouTube and Image example in the player part..
• PSD File included – Well organized with slicing examples..
• Above the FOLD -X Formula. 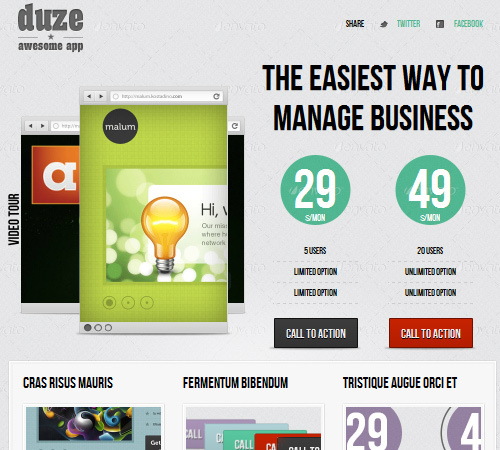 • Multi-Usable Design. Can be go for Products, Software, Services. 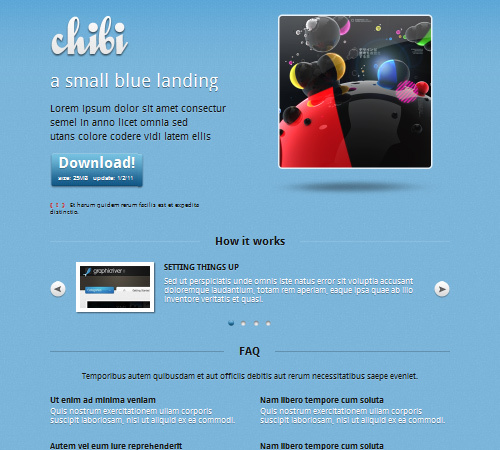 • JQuery Quotes, Thumbnails & Lightbox. • working ajax contact form with captcha. 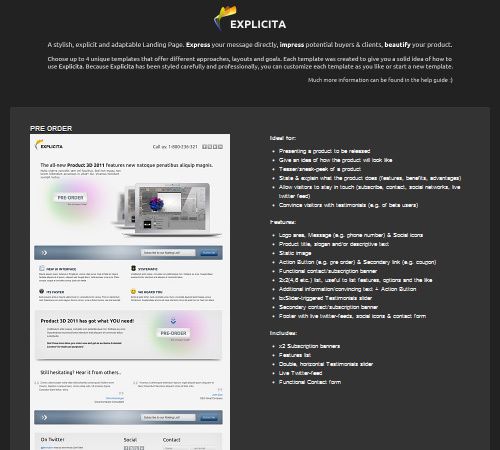 • working ajax newsletter script. • Lightbox ready // Fancybox. • @font-face with cross browser support. 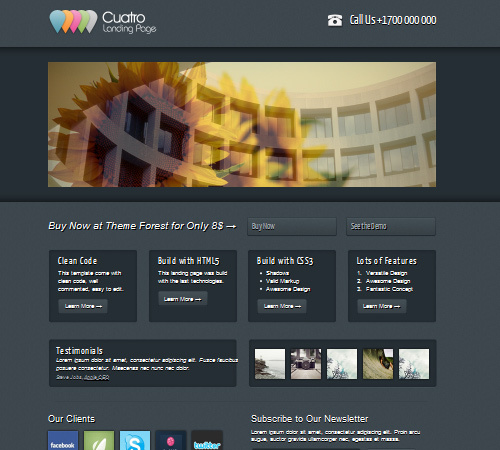 • Vimeo and YouTube support over Lightbox. • Valid xHTML – CSS . • PSD File Included – Sliced and Layered PSD Files. • Video – prettyPhoto – Vimeo / Youtube / Flash etc. 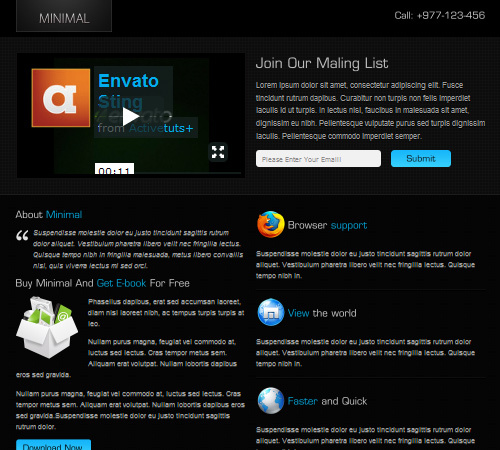 • Optional Subscribe Field and button..
• Easy to use and customize, flexible . • jquery prettyphoto plugin (for single image). • Div with hover effect . 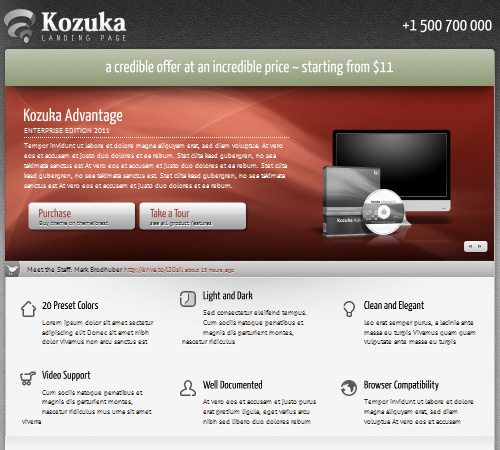 • 6 different layout with 2 color scheme. 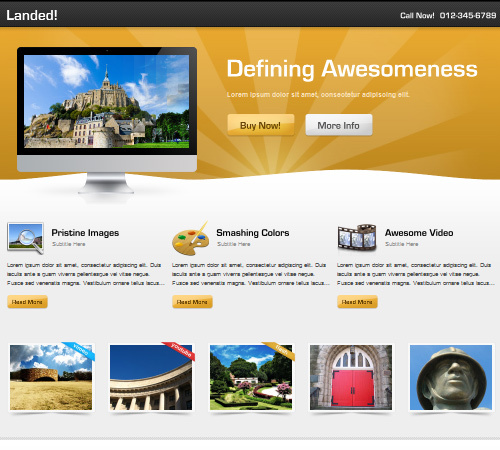 • Easyslider Gallery integration 2 versions. • Powerful inbuilt CSS Framework. Many thanks for this great collection..
cool stuff. thanks for the list. 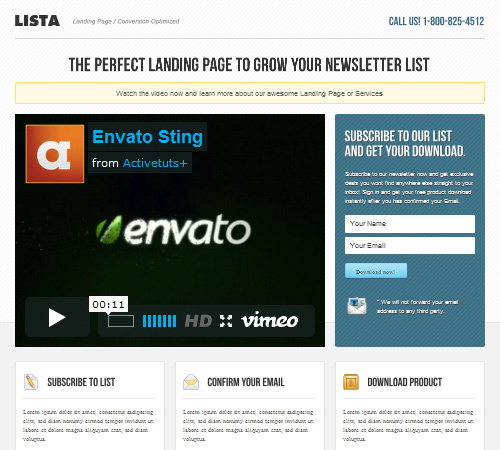 Amazing List, picked two landing page templates and bought them right away. Amazing compilation, thank you so much. Thanks for featuring one of my themes. Pretty awesome to see on here.